Ghosh, a relatively new banker, is falling in line. Kotak, a banking royalty, is dragging the RBI to court. Ghosh tried to avoid dilution, but is now surrendering. 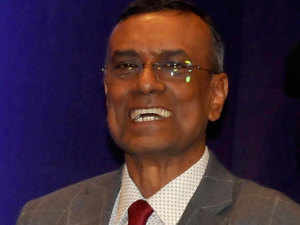 Chandra Shekhar Ghosh is a new arrival on India’s banking scene. Billionaire Uday Kotak is a seasoned campaigner and Asia’s richest banker. No wonder then that Ghosh is falling in line with a central bank command, while Kotak is suing. The disputes concern the founders’ maximum permissible ownership. The Reserve Bank of India is pushing the largest shareholders of Ghosh’s Bandhan Bank Ltd. and Kotak Mahindra Bank Ltd. to dilute their stakes because it doesn’t want a single powerful entity to control any deposit-taking institution. Ghosh tried to avoid dilution, but is now surrendering. Kotak has been stalling for a long time, but has now turned mutinous. Take Bandhan first. Ghosh founded it as a nonbank finance company, focusing on small-ticket advances to tiny businesses and other borrowers typically ignored by the formal banking system. The RBI selected the shadow lender as one of two successful applicants (out of 25) to be a deposit-taking commercial lender. The condition was that in three years, the holding company – Bandhan Financial Holdings Ltd. – had to pare its stake in the bank to 40 percent. After the bank’s IPO last March, the holding company was still left with 82.28 percent, locked in for a year under Securities and Exchange Board of India rules. When the RBI’s August deadline came, the HoldCo owned 42 percent more than the RBI would allow, but the stock-market regulator wouldn’t let it sell before March 2019. As a punishment, the RBI suspended Bandhan’s ability to open new branches without approval, and froze Ghosh’s pay. The bank’s shares, on a tear until early August, lost two-fifths of their value in less than three months. Left with no choice, Bandhan this week announced a merger with Gruh Finance Ltd., a home loan company. Bandhan’s HoldCo will get diluted to 61 percent (still 21 percent above the stipulated maximum), and 15 percent of the combined entity will be owned by Gruh’s parent Housing Development Finance Corp., which will seek the RBI’s permission to retain its stake. If the request is denied, it will have to drop below 10 percent. Bandhan shareholders are naturally disappointed by both the dilution, and the threat of more selling pressure. Even then, Bernstein analysts Gautam Chhugani and Gaurav Jangale are calling it a “blessing in disguise.” The addition of Gruh’s secured mortgages will make the microfinance lender’s book of unsecured loans less risky. Kotak’s case is more complicated. He got a license in 2003, under a policy that mandated a controlling shareholder — known as “promoter” in India — can never go below 40 percent. New guidelines in 2005 capped promoter ownership at 10 percent, though. In 2008, Kotak Mahindra was given six months to come up with an action plan. Then began long years of futile letter-writing, punctuated by another regulatory change in 2013 requiring promoter shareholding to drop to 15 percent within 12 years of operations. Other lenders, such as IndusInd Bank Ltd. complied, though Uday Kotak kept resisting, kept winning new deadlines, and kept getting wealthier. The last straw was in August when Kotak Mahindra sold 5 billion rupees ($72 million) of perpetual non-cumulative preference shares so that Uday Kotak could retain his 30 percent equity. When the RBI said preference shares won’t count toward dilution, the lender dragged the regulator to court. A victory for either party would by Pyrrhic. If the RBI wins, one of India’s few well-run banks will see a period of avoidable uncertainty, especially if desperation pushes Kotak into a merger with other lenders. A loss for the RBI would dim its prestige as a regulator just as it faces pressure to toe the government’s line. Shaktikanta Das, the new RBI boss, should take a practical view. The Indian banking industry is a mess with more than $200 billion in nonperforming loans. But the stress, or how it’s handled, isn’t correlated with ownership. State-run banks are in trouble partly because of “phone banking” — a pejorative reference to politicians calling bank chairmen to request loans for cronies. Private-sector banks have fewer bad debts, even if two of their CEOs have been shown the door by the RBI for trying to hide them. A third left after being accused of a conflict of interest. Two of these were professional managers; the third is a cofounder. Internationally, research shows that concentrated ownership “significantly reduces” banks’ nonperforming loan ratios. Still, it’s hard to conclude that managers with skin in the game will always play responsibly. Take Bandhan again. What business did Ghosh, a microfinance specialist, have lending money to the failed infrastructure lender IL&FS Group? Rather than impose one-size-fits-all numbers on ownership concentration, the RBI should invest in more alert supervision of banks’ risk management, culture and conduct.